There are over 30 million people in the U.S. who have diabetes, even if nearly a quarter of them have not been diagnosed. 13 million individuals in the U.S. have been diagnosed with urinary incontinence, and it is believed that the percentage of undiagnosed incontinence is likely to be significant. Diabetes is a disease, while incontinence is a symptom related to lifestyle choices, physical issues or an underlying medical condition. Urinary incontinence is often linked to diabetes because diabetes is one of the more common medical conditions that contribute to incontinence. Diabetes has a wide range of symptoms, but one of the most common is frequent urination. Because the body is unable to effectively manage glucose levels, excess amounts build up in the bloodstream. This, in turn, causes fluid to be pulled from tissue, which makes us thirsty. The more we drink, the more trips to the bathroom. Plus, the body recognizes the imbalance and tries to get rid of the extra glucose by excreting it. This all combines to greatly increase the amount of urine produced, a precursor to being susceptible to incontinence. Obesity – diabetes, and incontinence share this risk factor. Being overweight is one of the key factors in developing diabetes, and excess weight puts a lot of strain on the muscles that support the bladder, weakening them over time. This can result in leakage, as well as frequent urges to visit the restroom. Nerve damage – uncontrolled or long-term diabetes is often associated with damage to the nerves, which is called neuropathy. 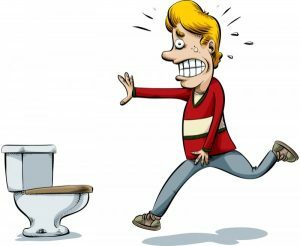 When this occurs in in the nerves that control the bladder, the natural sensation warning of a need to urinate may no longer function. This may also result in not being able to tell if the bladder has been adequately emptied, leading to urinary tract infections or kidney issues. Immune System – diabetics are at greater risk of infection due to a weakened immune system. This can more easily lead to infections, as well as making them more difficult to effectively treat. Medications – some medications used to treat diabetes may have the side effect of causing fluid retention, especially in the legs and feet, leading to the body attempting to get rid of it through increased urine production at night. While incontinence may be a symptom of diabetes, it is not one to ignore, running to the bathroom can make you trip and fall and sprain your ankle. It is important to take all medications and insulin at the prescribed times, check glucose levels, eat properly and schedule regular check-ups with your healthcare professional. When anything out of the ordinary occurs, including signs of incontinence, be sure to bring that to the attention of your physician. What Is Gestational Diabetes And How Is It Treated? Will Scientists Ever Cure Diabetes in Our Lifetime?